The pioneering electronic artist speaks with FACT about his serene new project. 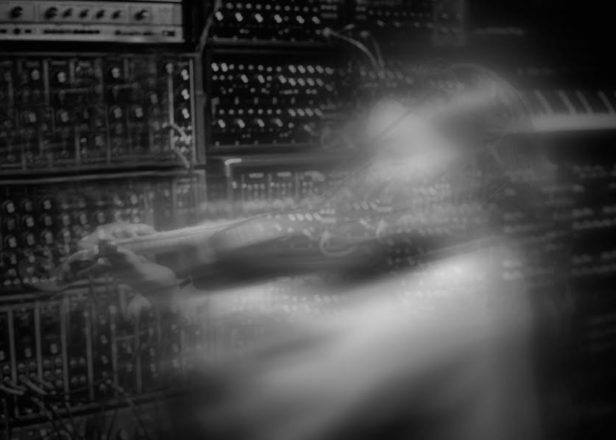 Though John Foxx is certainly the most recognizable name behind the trio Ghost Harmonic, the project wouldn’t exist without violinist Diana Yukawa. The idea began with Foxx and his longtime collaborator Benge’s desire to pair their complex studio trickery with a classically trained musician. Gathering at Benge’s studio in Shoreditch, they found a likeminded match with Yukawa who expertly melds her violin to their subtle analogue textures. The result of the trio’s work is Codex, a gorgeous blending of acoustic and electronic sound. We recently caught up with Foxx over email to talk about Ghost Harmonic and Codex, which you can stream in full below. How did Diana come into the fold to finish off the trio? Well, Benge and I had long maintained a fairly unfocused discussion regarding classically trained musicians, our surprise at their seeming reluctance to improvise and the tendency to use the recording studio simply to record a performance, without engaging with the endless compositional possibilities. We felt there was some great neglected potential there – if we could only find a classically trained musician who could improvise and was excited by these possibilities. Then Diana got in touch – just for a chat really – she wanted to expand her horizons as an artist and did we have any ideas? We all met at Benge’s studio one afternoon and it quickly became very exciting – all the ingredients were there instantly. She enjoyed improvising and had a great time playing into reverbs and looping devices and was genuinely fascinated by all the sonic possibilities on offer. So off we went. Was there a moment during the recording process that you began to feel like the three of you were on to something? Or was it a gradual process? It was good from the first moment. We especially enjoyed Diana’s consummate musical skills, her tranquillity and the way she was totally unafraid to engage with everything we got up to — even some completely disorienting stuff. She was suddenly alone in outer space and it didn’t faze her one bit. What’s the significance of the title Codex to you? Codex was a new form for an old format rethought for a modern world – originally the multi-leaved book evolving from scrolls. It all fit with what were attempting – a new evolution of classically based skills. It was multi-layered too and sort of mysterious. 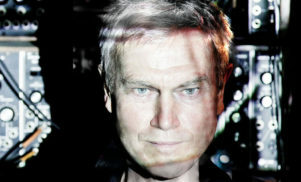 For more on John Foxx read our Essential Guide.